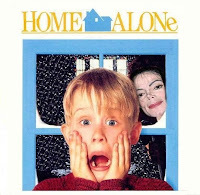 Running to Stand Still: Home Alone !!?? Well, today, my wife took the boys, her aunt & mother, and headed down to Wildwood, and left me HOME ALONE, with our 2 dogs (beagles). So I have the place to myself. Peace & quiet... yup... all I hear is the hum from the fridge.. So, you get home from work, what to do?? Have an ice cold beer, put on the Ipod, and relax on the deck? Maybe crank up some Bob Seeger & the Silver Bullet Band, and slide across the floor to "Old Time Rock and Roll" in your tighty whitey's? Nope, not me... you grab your running clothes, you new Asics Gel Kayano 14's you got for Father's Day, and hit the road. I did 4.9 miles in 37:49, and felt really good. Tonite was perfect running weather, mid 70's, no humidity,slight breeze, just a great June nite. The new shoes hurt a bit the 1st time out Monday, but felt a lot better today. I have really bad feet, and the Kayano's have been awesome. I overpronate terribly, and these shoes really seem to stabilize them. Well, guess it's time to have that cold beer & relax on the deck. Welcome to the Blogsworld !!! I am enjoying your blog. I am looking forward to reading your progress till your 1st Marathon. Like you, I have registered for the Philadelphia Marathon. This will be my 5th marathon in a little over 3 years. Hope you enjoyed some solitude during your Home Alone ! P.S. Perhap, we could meet at the Philadelphia Marathon. Hi! Ted just left a comment for me about your blog and how you stole my title and all, LOL. So I tore you apart a little (all in fun) and wanted to stop by to say hi. I ran a 5K on Fathers Day too! Not quite as quickly as you but it was brutal and I was happy to finish! thanks, Ted.. Yea we can try for the Philly marathon. In talking with ShoreTurtle, he said he did the Philly distancec run & LBI 18 miler, as training runs leadding up to the marathon.. what do you think? And I will have to rethink my blog name... guess we cacn't have 2 of the same name out here. Hey I am cool with it if you are. I am sure there are probably more of us out there. Thanks for the laugh about asking Bono. I might have to go to the marathon to cheer the Jersey boys on.